BIOGRAPHY CHRISTOPHER A. SMITH, ED.S. Christopher A. Smith, 54, was appointed Superintendent of Taylor Community Schools in Kokomo, Indiana November of 2013 and his official start was January 1, 2014. Mr. Smith is revealing and initiating Professional Learning Communities and interventions to support all types’ of student learners, and establishing collaborative teacher teams (Professional Learning Communities) to support success for Climate and Culture and to improve instruction and assessment district wide. Mr. Smith’s number one goal and focus has been student learning and achievement, student and staff safety, and developing a proficient budget for the district. Under Mr. Smith’s leadership the elementary, middle school, and high school will strive to meet mandates and testing such as: NCLB, NWEA, ISTEP, ECA, SAT, and ACT scores, and will display improvements at all levels. Mr. Smith was a member of the Indiana State Superintendent Educational Advisory Council Roundtable for three years, served as an Executive Board member on the first property and casualty trust (ESCRFT) established in Indiana, a board member of the second largest heath trust in Indiana, President for Special Education Cooperative, and also the President of the executive board of the Northern Indiana Educational Service Center. He is currently a board member for Kokomo Area Special Education Coop, Kokomo Area Career Center Vocation High School, Partners in Education Committee Member, Juvenile Detention Alternative Initiative (JDAI) Member, and Wabash Valley Educational Center Superintendent Round Table. Mr. Smith was also nominated as Superintendent of the Year in 2012 by other superintendent’s in Indiana. Mr. Smith was the superintendent at South Central Community Schools, Union Mills, Indiana, where he finished seven years as the superintendent. Previously, he was the principal for five years and assistant principal for two years at Lakeland Middle School in LaGrange, Indiana. Mr. Smith taught Physical Education at all levels between kindergarten through twelfth grade and Health Education sixth through eighth grades at M.S.D. of Steuben County in Angola, Indiana, student taught at Muncie North in Muncie, Indiana, and coached at Yorktown High School, in Yorktown, Indiana. Mr. Smith coached: Tennis, football, cross-country, basketball, wrestling, track, and directed a successful Tennis Camp for fourteen years. Mr. Smith ‘s educational background includes an Educational Specialist degree from Indiana State University with concentration in Leadership in School Business Affairs, Master of Science in Secondary Administration from Indiana State University, Masters of Science degree from Indiana University, and a Bachelor of Science degree from Ball State University. He is licensed in superintendency, secondary administration and supervision, and has a life license in teaching content areas of Physical Education and Health. Mr. Smith has a total of thirty-two years’ experience in public education (K-12). His strengths include, but are not limited to: instructional leadership, finance, technology as a learning tool, decision making skills, experiences as a leader in many phases of education, and willingness to implement and adjust to educational changes that are deemed to benefit student learning and achievement. He is enthusiastic, and able to dedicate his energies and time to being a positive and proficient superintendent. Mr. Smith has been married for (22) years and has two children. His daughter is (19) and his son is (15). Family is and always will come first in his life. He wants his legacy to be known as a loving, caring, and great husband and father. Mr. Smith is a working superintendent of schools who sincerely likes to work with others to develop good programs for students, who is able to meet the unique needs of the diverse populations, who has successfully met the challenge of today’s educational challenges, and who would like to increase staff morale and professionalism at Taylor Community Schools. My mission in life is to create and dedicate to setting high goals, to lead my family, students, staff, parents, and community to believe in themselves, and always aim high! This starts with attitude! To love my family with many indulgences, aware that they are all my only treasures. I believe you must Trust and do what is right and be honest every day. I will be committed to do my best every day, and to treat people the way I want to be treated, “The Golden Rule.” In the end, I truly believe that when you set high goals and work hard, good things happen. Deborah M Barton, 56, was appointed Business Manager/Treasurer of the Taylor Community School Corporation in Kokomo, Indiana in June of 2003 and started working on June 30, 2003. 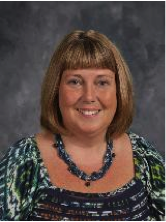 Mrs. Barton is a member of the Indiana Association of School Business Officials and has volunteered to be a mentor for other members of the association. Mrs. Barton was presented with the 2007 Indiana ASBO Region 5 Treasurer of the Year awardby her peers. Mrs. Barton is a member of the Indiana CPA Society and the American Institute of Certified Public Accountants. Mrs. Barton earned a Bachelor of Accounting degree from St. Leo College in 1988 and a Master of Accounting degree from Florida International University in 1990. Mrs. Barton has been a Certified Public Accountant for twenty-three years, since 1991. Mrs. Barton previously worked for the Kaufman & Rossin, CPA firm in Miami, Florida for eight years performing audits, reviews and accounting services. Mrs. Barton also previously worked as the Accounts Receivable Supervisor at Bona Vista Programs, a non-profit agency, in Kokomo, Indiana for seven years. Mrs. Barton grew up in Northeastern Pennsylvania and lived in Homestead, Florida for ten years before moving to Indiana. Mrs. Barton has been married for twenty-seven years and has two children. Her daughter is 22 and is married to an Air Force Senior Airman and living in Georgia. Mrs. Barton’s son is 17 and attends school at Taylor High School. Mrs. Barton is proud to be part of the Taylor family and the corporation office staff. She strives to provide all stakeholders with accurate, timely financial information. She also strives to improve the financial position of the school corporation. My mission in life is to have God in the center of my life. Everything I do, including caring for my family, volunteering at church and school, and serving in my job as Business Manager, will be done with honesty and integrity. I strive to make life better for those around me, which will in turn make my life better. My professional mission is to help Taylor achieve financial stability, for the good of the students, staff and community. BIOGRAPHY ERIC A. HARTMAN, M.ED. 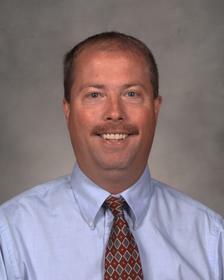 Eric A. Hartman, 49, has been Principal of Taylor High School since being appointed to the post in May of 2007 having previously served as Assistant Principal beginning in the fall of 2004. 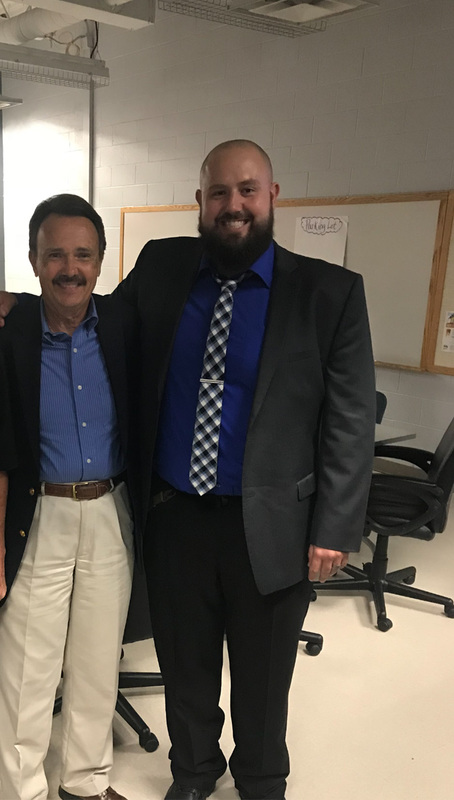 Mr. Hartman is a member of The Indiana Association of School Principals as well as the Indiana High School Athletic Association and currently serves as a member of The Mayor’s Council on Substance Abuse as well as the Juvenile Detention Alternative Initiative. Mr. Hartman is also proud to serve on the Titans of Taylor selection committee that honors Taylor High School graduates for their service to the community. Mr. Hartman has spent his entire professional career in public education serving the Taylor Community School Corporation beginning in August of 1992. Mr. Hartman served as a Highly Qualified teacher of Economics, United States History and Sociology for twelve years prior to being promoted into a leadership position for the school district. Mr. Hartman has also spent time coaching countless student-athletes serving as a middle school and varsity assistant football coach from 1992 through 1998 and was the head softball coach from 1996 through 2002 compiling a school coaching record 93 wins during that span which included back to back twenty win seasons in 1998 and 1999. In May of 2000, Mr. Hartman was selected by his coaching peers as the Indiana Coaches of Girls Sports Association District #2 Class “A” Coach of the Year. Mr. Hartman’s educational background includes a Bachelor of Science Degree from Indiana University-Bloomington awarded in December of 1989. Mr. Hartman completed his undergraduate requirements with a student-teaching assignment at Taylor Junior-Senior High school in 1989. Mr. Hartman received his Indiana School Administrator License in 2004 upon completion of a Master of Science Degree from Indiana University-Bloomington with a 3.70 grade point average. He is currently licensed to serve as a building level administrator K-12 as well as a classroom teacher in Economics, United States History and Sociology. 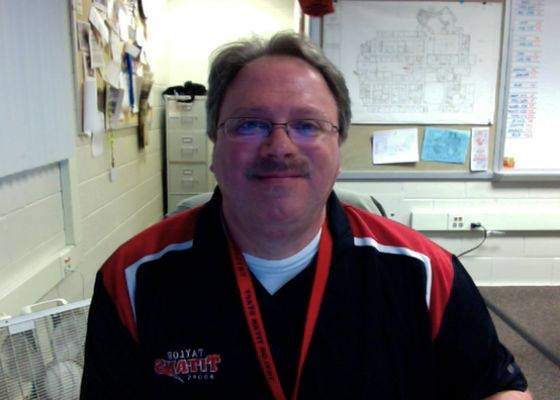 Mr. Hartman has a total of twenty-five years experience in secondary public education. He is proud to be a Taylor Titan and enjoys working on behalf of the students and patrons of Taylor High School now serving his second generation of students. Mr. Hartman is especially excited to work alongside the finest and most dedicated group of teachers and staff in Howard County. He maintains an open door policy and looks forward to hearing from existing patrons as well as prospective ones who have heard about the fine academic and extra-curricular opportunities at Taylor High School. He can be reached directly at 765-455-8201. It is my personal belief that attitude and spirit are the driving forces in developing children into responsible adults. It is my job as an educator to promote an environment that promotes integrity and a spirit of cooperation with student success at the forefront. Failure is an option sometimes but will always be used as a learning opportunity for students, parents and teachers. I chose to be in the kid business because I personally feel that the total development of a child is the most important occupation on the planet. I pledge to always value the children and staff under my direction and to this end I will lead by example all the while being positive and caring. Education is a process that involves everyone playing a role and I am excited that I get to assist in this awesome journey. 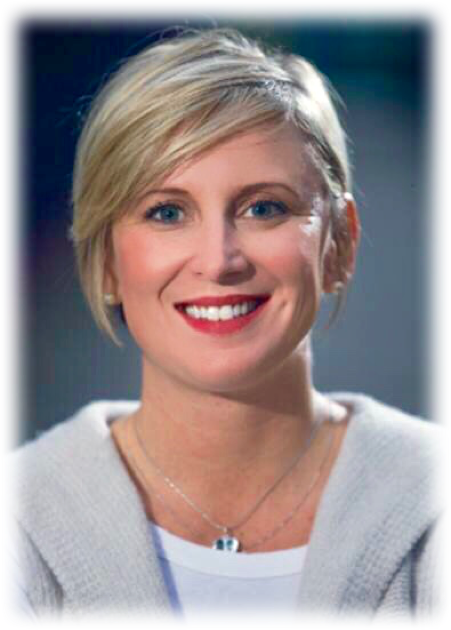 Tiffany Boruff serves as Director of School Counseling for Taylor High School in Kokomo, Indiana since June 2017. Prior to her appointment as Director of School Counseling, Ms. Boruff worked as a Program Director at the Kokomo YMCA. In this role, she successfully implemented a nationally recognized youth mentoring program serving at-risk youth in Howard County. Tiffany brings to the position five years of experience working as a School Counselor at Peru High School. She brings valuable experience to Taylor Schools in the areas of test coordination and program implementation, as well as counseling skills, in the areas of academic, college, career, and personal counseling. She is passionate about fostering relationships and developing meaningful connections with at-risk youth as a way to best support each student’s individual needs. Ms. Boruff is actively involved in the community by serving as a volunteer for community organizations such as Kokomo Urban Outreach, Family Services Association, Howard County Mentoring Coalition, and Open Arms Women’s Shelter. She is also an active member of Prevent Child Abuse Church Committee, Howard County Mentoring Coalition, and the Indiana School Counselor Association. Tiffany was fortunate to earn a full ride athletic scholarship to Pennsylvania State University, where she played collegiate basketball and earned a Bachelor degree in Social Work. She went on to receive a master's degree in School Counseling from Indiana University Purdue University Indianapolis. Tiffany was honored as the first female athlete inducted into the Howard County Sports Hall of Fame in 2005. She continues to hold the all-time leading scoring record, including boys and girls, for the most points scored in a high school career in Howard County. Tiffany is very proud of her personal and professional accomplishments, but is quick to acknowledge that her most treasured possessions won’t be found on a wall in her office or on the hardwood gymnasium floor. Her most significant role is that of a mother to her two children, Taylor and Cole. They are truly what bring her the most joy in life. My personal mission is to live a balanced life, to always lead by example, and to welcome life’s challenges as an opportunity to learn and grow. Honesty, integrity, dependability, tolerance, and teamwork are qualities I value dearly. My personal mission is to act as an instrument of positive change in my family, my work, and my community. I will utilize all of the talents that God has given me and will participate in all aspects of my life with energy, purpose and gratitude. I believe all students have the ability to learn and succeed with faithful and continuous nurturing, guidance, and support. As a school counselor, I am driven to motivate and empower students by providing a safe and secure environment to support them socially, emotionally, and cognitively, to build a foundation for life-long learning. My most significant role, however, is that of a mother. I strive to raise my children to be respectful, confident, happy, healthy and well-adjusted young adults. Heather Hord, was hired as the principal of Taylor Middle School in July 2008. Prior to her appointment as principal she served as the athletic director for Taylor Middle and High Schools for one year. She has also taught in the corporation for five years. All of her educational career has proudly been served as a TITAN! Miss Hord is a graduate of Eastern High School, Indiana Wesleyan University, and Ball State University. Her undergraduate degree is a Bachelor of Science in criminal justice, political science, and pre-law. Her graduate degree is a Master of Arts in educational administration. She currently holds a teaching license in government, United States history, and psychology. She also has a building level administrator license. Before entering into the educational field Miss Hord worked as an adult and juvenile probation officer for six years in Grant County, Indiana. She felt the passion to change her career and pursued a teaching license. Her main focus is to always do what is right for the students. Miss Hord works hard every day to push herself and those around her to be better for the students at TMS. She wants to work with students, parents, and teachers to build a great community environment at TMS. My daily mission in life is to find the end of my comfort zone where life truly begins. I was born and raised in Indianapolis on the SouthEast side. I attended University of Indianapolis and received my Bachelors in Elementary Education and my Masters in Educational Leadership. I have worked in education for 14 years. I have held every position in a school minus a school bus driver. I taught Elementary at Hawthorne Elementary until moving to re-open a school on the far East side of Indy. I was a proud member of a team that took Indianapolis Lighthouse East from a closed school to a two year A rated school. I served as Assistant Principal of Culture. I am married to Faith Nuttall as of december 2017. She and my three rescue dogs are my loving family. In my recreational time I’m an avid outdoorsman and play Racquetball all over the country. My family and my work make up the best parts of my life. Audrey L. Wunderlich, 33, was appointed Director of Special Education at Taylor Community School s in Kokomo, Indiana during March of 2014. Mrs. Wunderlich has been a proud Titan alumni and staff member most of her life. After graduating high school from Taylor with honors in 1999 she attended Indiana University as an Applied Health Sciences major, but worked as a substitute teacher for the corporation as her schedule allowed. These interactions with students and staff, as well as classroom experiences, enabled Mrs. Wunderlich to unlock her true passion and calling as an educator, so she changed majors and entered the IU School of Education. During her time at Indiana University she was a member of Kappa Delta Pi, an education honor society, and graduated in December 2003 with a degree in elementary and middle school science/social studies education. Mrs. Wunderlich began her teaching career at Taylor Middle School in August 2003 as a seventh grade teacher. In this capacity she worked on student accountability teams and sponsored academic clubs and activities. During her first few years of teaching, Mrs. Wunderlich discovered her forte was in the area of special education, so she began post-graduate work at Indiana Wesleyan University, completing her mild interventions licensure in December 2006. After a few years at Taylor Middle School, Mrs. Wunderlich transferred to a fourth grade special education position at Taylor Intermediate School. There she served as the teacher representative for the PTA, as well as co-chairing committees for Response to Intervention and Positive Behavior Supports. In 2010 Mrs. Wunderlich started splitting her instructional day as both special education teacher and coordinator of special education for the district. After ten years of classroom teaching, Mrs. Wunderlich accepted the full-time position of Special Education Director for Taylor Community Schools. Her participation in the Kokomo Area Special Education Cooperative (KASEC), her membership with the Indiana Council of Administrators of Special Education (ICASE), as well as her strengths in interpersonal communication, organization, and data analysis will help Mrs. Wunderlich forge partnerships with the corporation’s special education teachers, students, and families to provide an exceptional educational experience within the district that has been her “home” for many years. Her goals include, but are not limited to: continuing compliance with all state and federal special education indicators, implementation of K-12 inclusionary practices, making data-driven and best practice decisions to maximize student learning, and building relationships with parents and community members to better the special education department at Taylor Community Schools. Mrs. Wunderlich has been happily married to her college sweetheart for eleven years. They have one son, who is a first grader at Taylor Elementary School. In her free time, Mrs. Wunderlich enjoys spending time with her family, traveling, and watching her son’s baseball and soccer games. My mission in life is to help others expand their potential for success as I maximize my own. Through dedication, compassion, and positivity, I aspire to learn from life experiences and apply that knowledge to make tomorrow even better than today. BIOGRAPHY DAVID A. LONG, JR.
David A. Long, Jr., now 60, was appointed Transportation Director of Taylor Community Schools in Kokomo, Indiana April 16, 2003. Mr. Long began driving a school bus the fall of 1976 to supplement his family farm income as a special needs bus driver in Howard County. In 1991 he was hired by Taylor Community School Corporation to drive route 14 in the Indian Heights sub division. Effective November 1, 2000 Mr. Long began supervision of the Versa Trans Bus Routing and Planning System. Mr. Long was appointed to assistant maintenance, custodial supervision, and transportation director effective April 16, 2003. Mr. Long served two years as the Region 5 Director of Transportation with School transportation Association of Indiana, 2012-2014. Mr. Long received 16 hours of on-site training with Versa Trans Bus Routing and Planning with a skilled training coach in 2001. He completed the Alcohol and Substance Abuse Awareness Training in accordance with DOT/FHWA Part 382.603 on June 18, 2002. He completed the NAPT Training program course #802 – Special Education Transportation-Operations on April 16, 2003. He completed the one day training with Trane Controls on May 2005. He completed the 40 hour school bus driver-instructor classroom & behind the wheel training course by Richard E. Fischer, Trans-Consult Instructor on July 2006. Mr. Long completed Five Training Modules pertaining to Transporting Students with Disabilities on the school bus on February 10, 2007 provided by S.T.A.I. Mr. Long completed 8 hours of Blue Bird Maintenance & Multiplex Wiring Factory Training and a Braun Wheel Chair Lift training class in 2008. He completed the NAPT Training Program Course #302-Budget Development on April 29, 2009 in Fort Wayne, IN. He completed school bus maintenance training with Kerlin Bus Sales Training Class in 2010 and in 2011. Mr. Long completed the Supervisor Training of two hours in accordance with DOT regulations highlighting how to identify physical, behavioral, speech and performance symptoms that would justify probable cause drug and/ or alcohol testing on August 22, 2013. He has completed various safety trainings, Asbestos Awareness, and OSHA training provided Kokomo Electricians Union. Mr. Long drove a school bus in Dallas TX for 1 year and taught Physical Education, coached track, football, and basketball at a small intercity Christian school while attending Christ For the Nations Institute, graduating with a general studies ministry degree in 1990. He attended one year of general studies at Asbury College, Wilmore, Ky. In 1972-73, and one year at IVY Tech in Kokomo with classes in general carpentry and plumbing in 1974-75, and attended the 12 week short course in agriculture at Purdue University in 1976. Mr. Long coached cross-country bicycle treks in the summers, emphasizing safety, adventure, discipleship, and evangelism for 40 years. He has logged over 16,000 miles cycling in the USA and Wales. Mr. Long and his wife have also enjoyed service as foster parents and relief parents for 6 years in Howard and Cass County with a strong belief in helping the little people become safer and happier while cultivating a bright hope for the future. Mr. Long has a total of twenty three years of transportation experience at Taylor School and promotes school bus safety as a primary and ongoing pursuit. 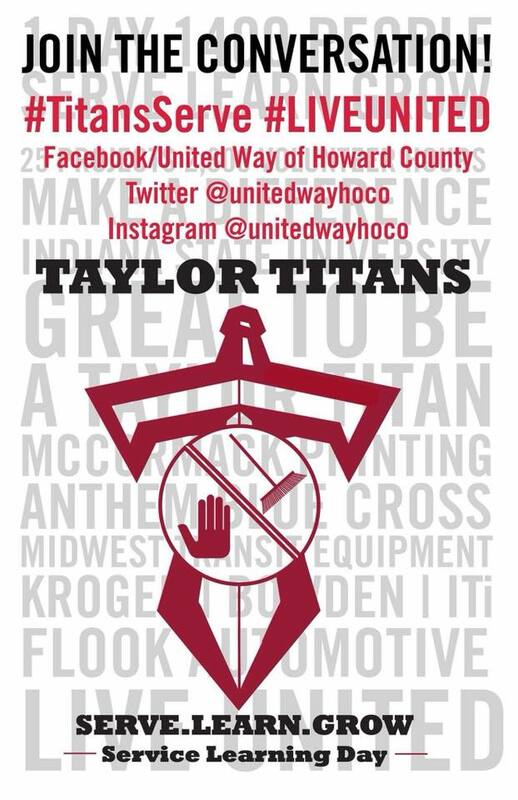 He sees the Taylor School Community as a premier education center in Howard County and will continue to serve, promote and work together with others in this community to help this school reach and maintain its potential in every possible way. My mission in life is to do my best each day, and endeavor to lift others up to be their best as well. My family and my God are by far my two most important priorities, and my work will reflect an attitude of excellence and joyful service at home, church, and school. Steven W. Stiner, 49, was appointed Director of Maintenance in January 2003. 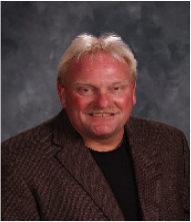 Prior to this Steve served in other positions at Taylor Schools, including assistant maintenance, custodian, groundskeeper, and substitute bus driver. Mr. Stiner has been Taylor Titan Alumni and staff most of his life. He graduated from Taylor in 1983. He joined the Taylor team in 1986. He studied at Ivy Tech College in the area of Industrial Maintenance Technology. Along with his education in Industrial Maintenance, his knowledge acquired from farming gave him useful mechanical skills helpful in facility maintenance. He strives to be preventive in his approach to minimize any operational or security problems. One of his strengths is troubleshooting maintenance issues and solving problems in the most cost effective way. He strives to keep the school, grounds, and buses safe and functional for the students, parents, and staff. 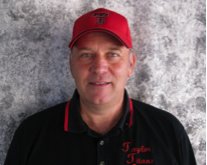 Steve values education and is always happy to assist others in any way to improve our school here at Taylor. Mr. Stiner had the honor of receiving the Employee of the Year award in 2009. He also maintains a Class B commercial driver’s license, Class 3B pesticide applicator license, Universal Refrigeration license, Water treatment plant WT3 operator license, and a Water Distribution system operator Grade DSS license. Steve is proud to be from our community and work in our community to make our school a better place for the generations to come. Steve has been married for 26 years and is the father to 3 sons. His sons are age 24, 22 and 17. His oldest son and wife are expecting a daughter soon, and Steve looks forward to becoming a grandfather. My mission is to do my best, be positive and support others. Maintain the facilities in such a manner as to ensure the classroom environment will support the educational goals of the district in an efficient manner and spending time with God and my family. Mrs. Bolin has been a part of the Taylor family most of her life. She is a 1985 Titan Alumni. She began working in the food service department in 1999. After working many different positions within the department, she was named Food Service Director in 2016. Mrs.Bolin is married and has 3 children and 4 beautiful grandchildren. She is very passionate about Taylor Schools and the growth and well being of our students..
My mission in life is to always be kind to others and to always remember that you never know what someone else may be dealing with in their own personal life. I strive to be the best leader that I can be not only to my staff but also my children and grandchildren. Mr. Bernotas came to Taylor as the School Corporation’s first Technology Director. His main job was to develop a 5 year Technology Plan and start Taylor Schools down a dynamic High Tech future. A strong foundation of highly trained staff, cutting edge infrastructure and robust technology hardware got the school operating in a digital rich environment. 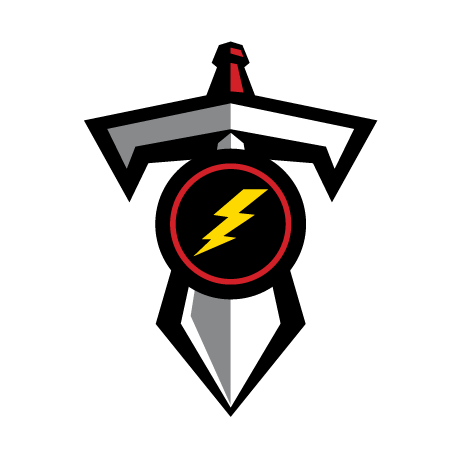 Mr. Bernotas’ current responsibilities have been expanded to manage Federal and State reporting, network services such as telephone, computer, projectors, security systems as well as a competent Tech Team. Mr. Bernotas is a member of the Howard County Technology Directors, Wabash Valley Service Consortium Technology Committee, Hoosier Educational Computer Coordinators as well as numerous local teams and committees. Mr. Bernotas is a retired Federal Firefighter of thirty years. This experience has given him the management skills needed to lead and develop the Technology Team and Plan for the Taylor Community School Corporation. He worked part time as Technology Director until retiring from Federal service in 2010. Mr. Bernotas is happily married with 3 children and 4 grand children. Mr. Bernotas’ educational background includes degree in Emergency Management from Community College of the Air Force and Federal Management studies at Texas A&M. Mr. Bernotas served as board member of Air Force Training Committee. He is certified as Homeland Security/FEMA instructor for National Incident Management System (NIMS) as well as adjunct instructor for Ivy Tech. He is a Microsoft Certified Systems Engineer (MCSE) and a Certified Apple Developer. Mr. Bernotas has a total of 21 years’ experience in public education (K-12). His strengths include, but are not limited to: skilled manager of programs and personnel, integration of technology in a learning setting, decision making skills based on best practices , and willingness to listen and implement team decisions. Mr. Bernotas is a loyal employee, dedicated to advancement of the Taylor Community School Corporation’s mission and goals. He believes in student life long learning and individual character development and is proud be a part of this process. My life’s mission is to become an example of all my beliefs. I want to demonstrate everything I have learned in my short life with patience and understanding. I will continue as a lifelong learner and always make myself available and open to “catch” life lessons. I strive to know Christ and make him known. My family is my passion and my Community is my service.